As a proud African it has always been a dream to represent my culture in my work. The best way I feel I can give back is through the talent that God has given me, which is art. There are great men and women in Africa, I want to honour them by showing mine and future generations their portraits and their true power and greatness. Meeting His Excellency Hon. 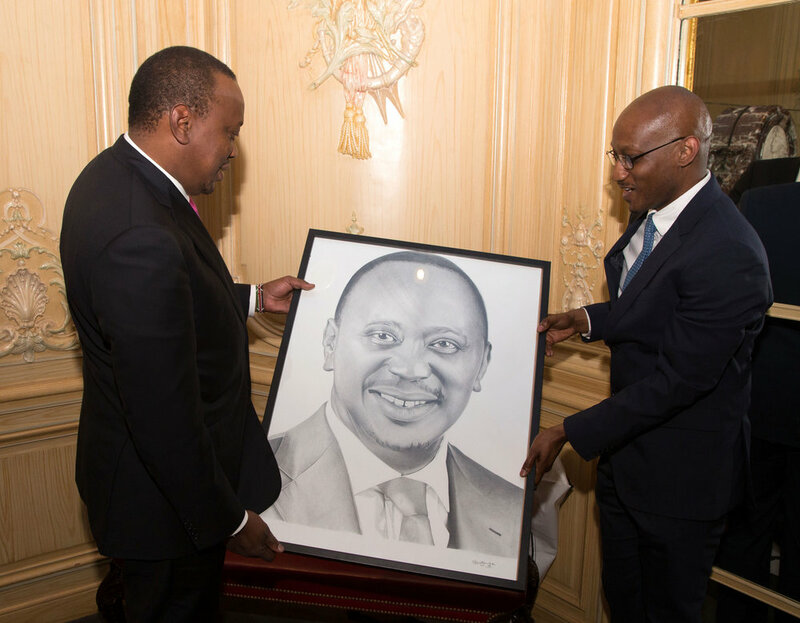 Uhuru Kenyatta and him accepting my portrait, on the 11 May 2017, at a reception held at the Four Seasons Hotel at Park Lane. The occasion was a great honour for my family and me, hopefully with his support I can extend the same appreciation to other influential and forward thinking leaders such as himself. 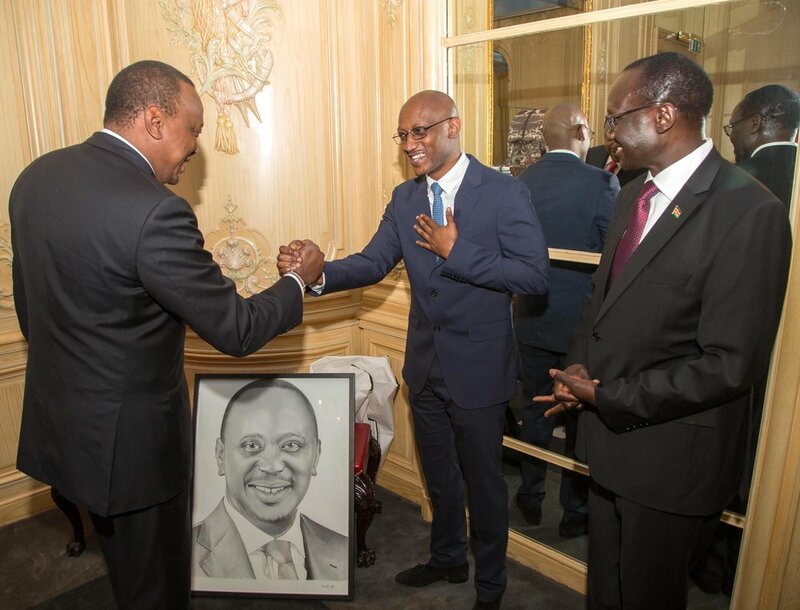 I would like to thank His Excellency, Kenyan High Commissioner Mr Lazarus O. Amayo, for believing in me and giving me this fantastic opportunity to present my artwork to His Excellency Mr Uhuru Kenyatta. My gratitude to Rose Seko for supporting me through the process.